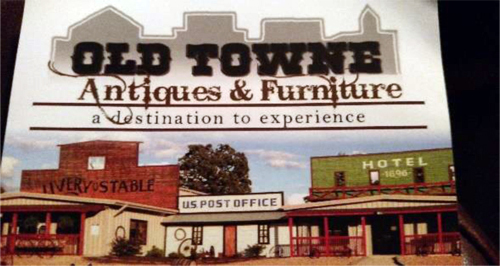 The following items will be offered for sale, the owners of Old Towne Antiques & Furniture are discontinuing business. 8 acres M/L – Interstate 44 Frontage Exit 179 Rolla, Mo. Terms for Real Estate: Qualified Buyers with Letter of Guaranteed Funds or Cash. Ten thousand (10,000.00) dollars down Cash or Certified funds (nonrefundable) Due day of sale, balance due at closing in 30 days. Buyers and Sellers will be responsible for their own closing cost. Real Estate taxes will be prorated to date of closing. Real Estate Sells As-Is Where-Is with NO Guarantees. All bidders, buyers or agents are responsible for conducting their own Inspections & Due Diligence prior to the auction. Terms of Sale: Cash or Good Check (w/proper ID), Nothing removed until settled for. Seller or Auction Service is not responsible for accidents, errors in listing, or lost items. All statements made the day of sale take precedence over printed material.